Summer has (finally) arrived and with it our July Exhibit “Going Green” featuring oil on aluminum paintings by Alisa Huntley and Annie Ferder’s detailed watercolors. 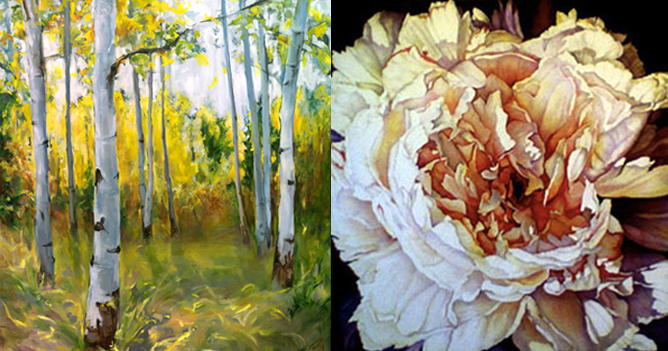 While Alisa focuses on glowing aspens, willows and water, Annie’s luscious grouping of flowers and vegetables leap off the surface. Come see the show July 2, during the First Friday Gallery Walk from 5-9pm. Or visit us throughout July on your own schedule.